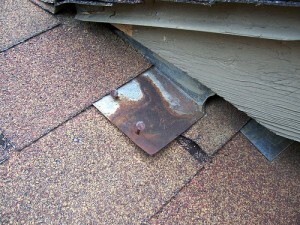 Most leaks occur around penetrations through your roofing shingles including chimneys, skylights and valleys. A high quality, well-maintained roof doesn’t just keep you safe and comfortable, it also helps your home to look orderly and well kept. Here at Dave’s Roofing we are glad to assist you with shingle repair needs or any other roofing service. As a full service roofing company, we’re proud to offer a wide range of different services. From fixing minor leaks and drips and shingle repair to roof replacement and even new installations – we do it all at Dave’s Roofing. We understand how much you care about your home, and we work to provide the high quality results you want with a stress free, no hassle process. Contact Dave’s Roofing for an estimate for all roof repairs.